Forget about likes and shares. You can now transfer money internationally through Facebook. 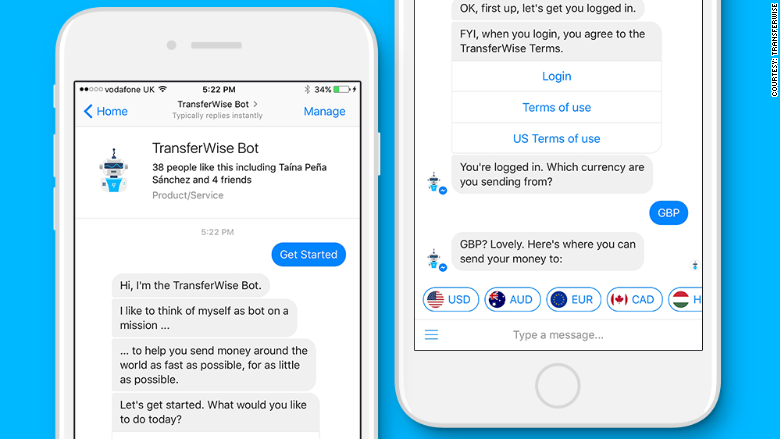 The money transfer startup TransferWise has launched a new chatbot that enables Facebook (FB) users to move funds abroad using the social platform's Messenger service. The bot can be used to move money between the U.S., Canada, Australia and the European Union. It will also notify users via an alert when their regularly used currencies hit favorable rates. Facebook users were previously able to transfer money within the U.S., but not between accounts in foreign countries. More than 1 million customers transfer nearly $1 billion each month with London-based TransferWise. The startup, which counts venture capital firm Andreessen Horowitz and Virgin founder Richard Branson as investors, is valued at an estimated $1.1 billion. TransferWise helps users avoid costly fees incurred when moving funds across borders. It does so by allowing customers to transfer money into a local TransferWise bank account in their home country. The startup will then pay the same amount out from its local account in a second country of the user's choice. TransferWise is regulated by the U.K. Financial Conduct Authority, and the company said that its Facebook bot complies with all relevant consumer protection laws. 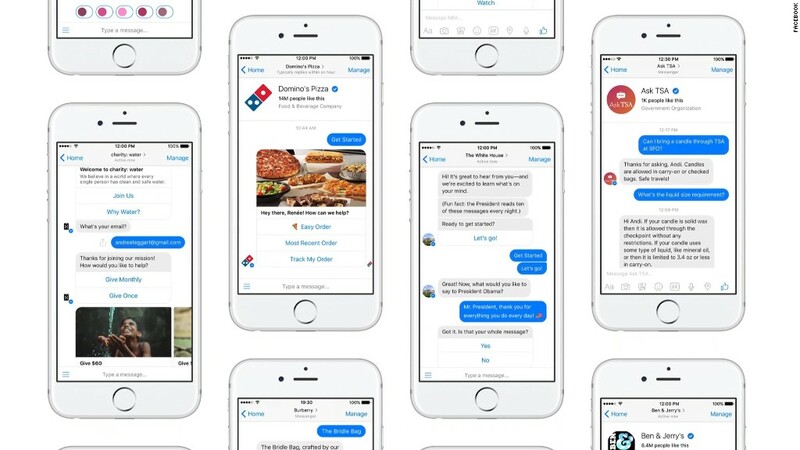 Facebook first launched chatbots for its Messenger app last April. The bots allow users to communicate with companies in the same way they speak to their friends. They can provide everything from weather updates to personalized news updates and other services. The bots respond conversationally, and brands are increasingly using them to replace customer service agents.